Our clinical specialists act as an extension of our providers. 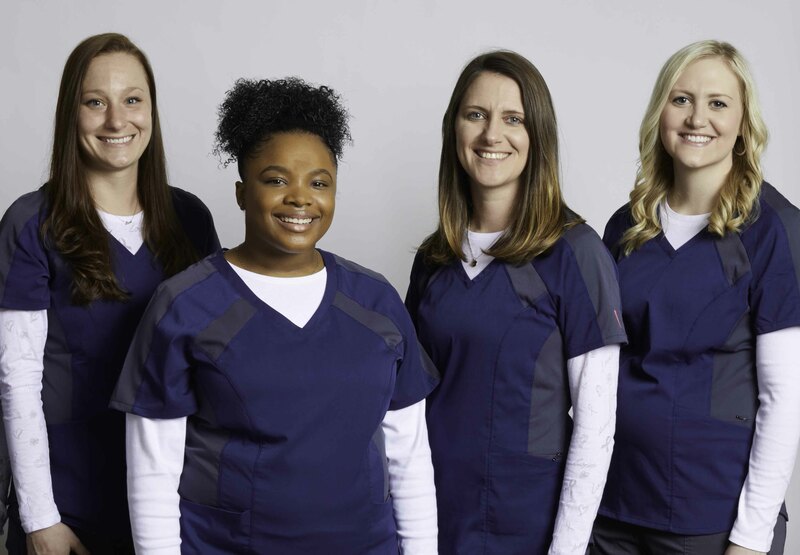 From X-rays to casting, staple removal to answering patient calls, this team is 100% focused on providing our patients with the best care possible. 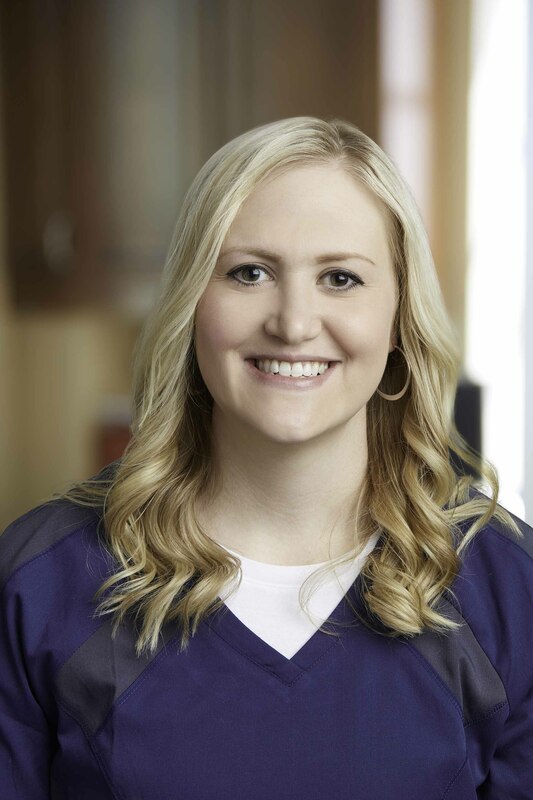 Jessica, or as we call her “JK”, has been with Westphal Orthopedics since our beginning in January of 2014. She was an integral part in establishing our radiology services and has since become our Clinical Operations Supervisor. JK draws her inspiration from Dr. Westphal. His work ethic and commitment to excellence are a catalyst in JK’s professional development. She is excited with the prospect of being able to carry on Dr. Westphal’s legacy at Westphal Orthopedics. JK didn’t always want a career in healthcare. When she was younger, she wanted to become an elementary school teacher because of her love of children. She has found her chosen career to be more rewarding than she ever thought possible. According to her, the best part of her job is helping people navigate the surgical process and watching them return to their active lifestyles. Because of this, she really feels that she is making a difference in her community. One of the things that JK enjoys most about the day-to-day operations is sharing laughs with her coworkers and patients. In fact, after a long day in the office, she enjoys watching “The Office” on Netflix when she gets home. When she isn’t watching Netflix, she enjoys hiking, swimming in her pool, playing with her dogs and her newest hobby, crocheting. Ashley has been delivering exceptional orthopedic care since 2008. Growing up, Ashley always saw herself as a marine biologist, but has no regrets about her career choice. She loves watching patients come in after a successful operation and seeing the happiness on their face. She is currently working toward her RN license to further her knowledge and experience. Ashley is always giving her all to whatever it is she’s doing. She draws her inspiration from her son, who she always wants to be proud of her. When she’s not working or studying, Ashley loves to spend time with her family doing activities like boating, skiing or four-wheeling. Fun fact about Ashley: when asked if she could see anyone in concert, past or present, she would see Johnny Cash or Stevie Nicks. 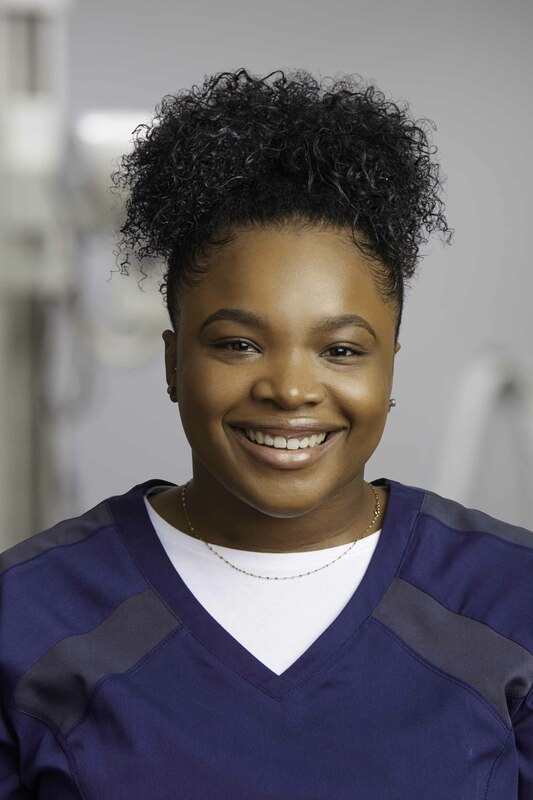 Essence is the newest addition to our clinical team at Westphal Orthopedics. She joined our group in January of 2018 and has proven to be a great addition! Even though fashion design was her first career choice as a child, she has found a lot of joy in her chosen profession. 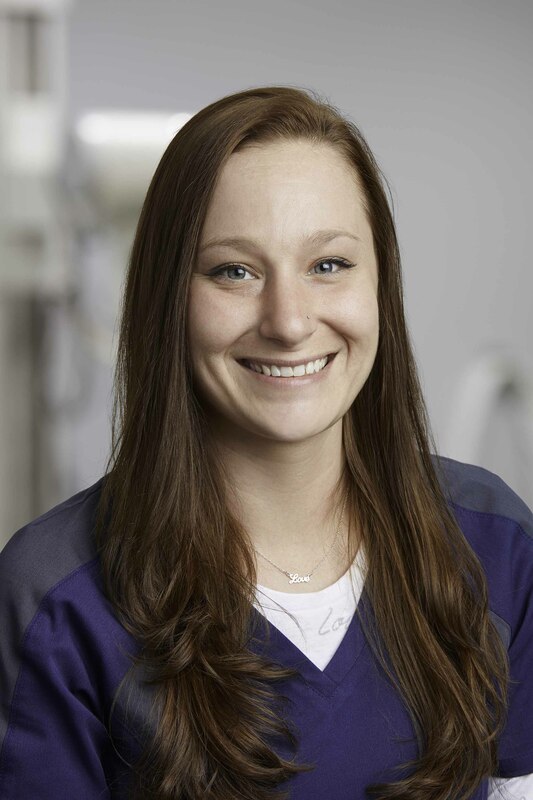 Her favorite part about working here is the family atmosphere that our staff shares, as well as the being able to build relationships with our patients. Essence works hard every day to make her parents proud. She says that they worked hard to give her the best life possible and she wants to emulate that for her future children. When her days get tough, she finds that sunshine outside or Rita’s Italian Ice will put a smile on her face in no time! The thought of having a half day every Friday doesn’t hurt either. When she does have a stressful day, she finds exercise to be her best stress-reliever when she gets home at night. 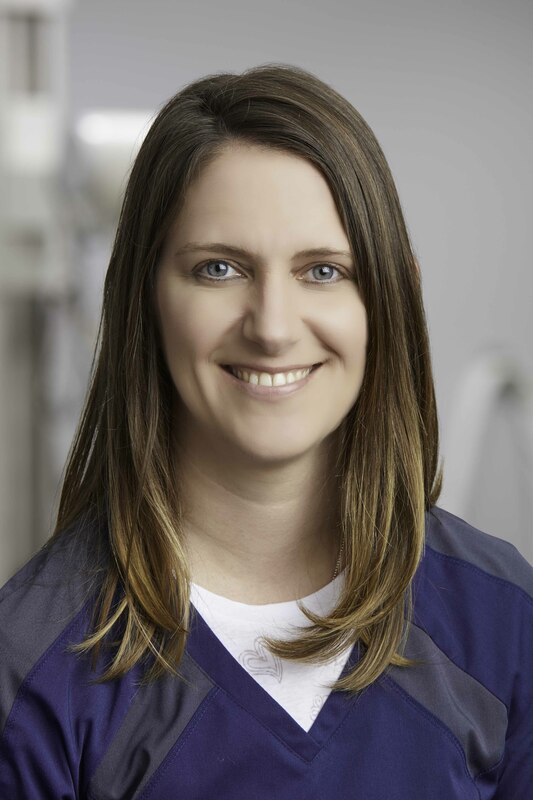 Stacey brings over a decade of experience in healthcare to our team at Westphal Orthopedics. She joined our group in June of 2014, shortly after we opened the doors. She finds great satisfaction in helping our patients progress through their treatment until they are pain free. A mother of three, Stacey gains a lot of inspiration from her children. She says they are a constant reminder of what patience and unconditional love are all about. She still somehow finds time for the things that she enjoys like baking, crafting or being outdoors. Like Ashley, Stacey also wanted to be a marine biologist when she was a kid because she loved going to the aquarium and watching Shark Week on Discovery Channel. As she grew, she realized that this would be a better hobby than a career and she turned her focus to healthcare. Some things that are always sure to cheer Stacey up when she’s down include a kiss from her kids or husband, coffee, sunshine or free lunch! If you’ve been in our office, chances are you’ve heard Edgar’s laugh echoing through the hallways. 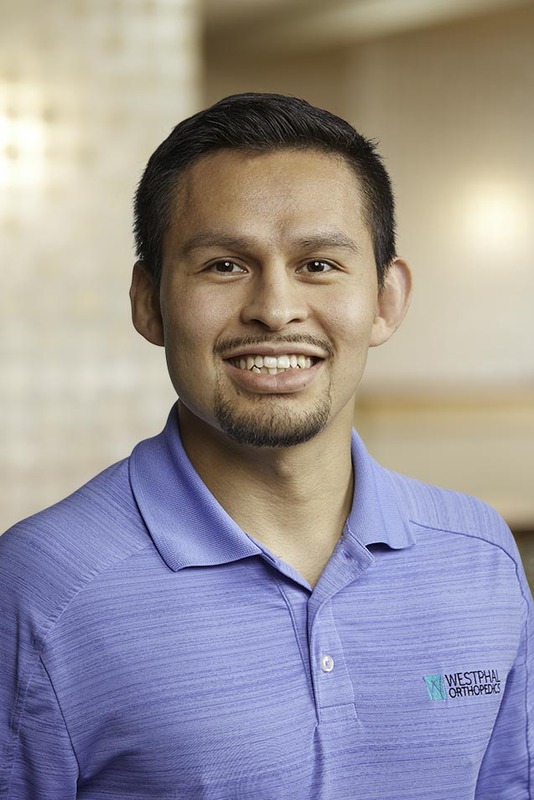 A recent graduate of Franklin and Marshall College, Edgar joined our team while he prepares to take his Medical College Admission Test (MCAT). He hopes to soon become an orthopedic surgeon himself. Edgar didn’t always want to be a physician. In fact, growing up Edgar dreamed of being a superhero. As a kid, he envisioned himself flying through the air and saving people with his super-strength. Now he sees himself as a hero in orthopedic medicine. Edgar brings a lot of energy and humor to our team and his love for medicine shows in the way he cares for our patients. Each time a patient leaves our office, it’s Edgar’s goal to ensure that they’ve had a five-star experience. It’s important that they had all of their questions answered, and they can put their trust in Westphal Orthopedics. If you run into Edgar in our office, be sure to ask him for a riddle. He’s always got a few good ones up his sleeve!